When most of us were kids, Career Day meant impatiently jiggling our legs under our desks, while Tommy Y.’s dad droned on about selling insurance, only to be followed by Laura V.’s mom trying to get us amped up on accounting. On January 12, the 8th grade class at Dana Hall had an entirely different experience. They had, you might say, a 3DEXPERIENCE. 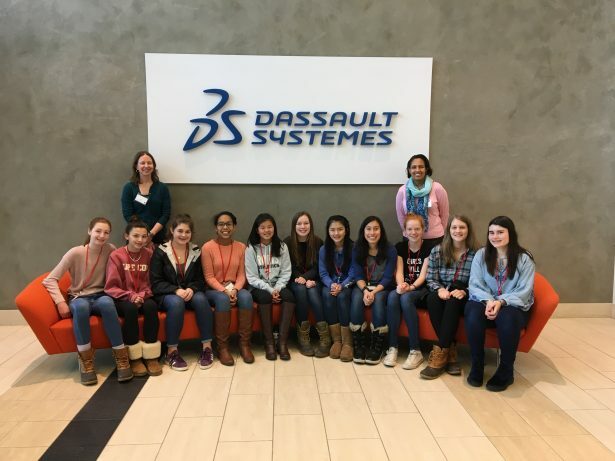 Organized and led by User Experience Design Senior Manager Chinloo Lama, the group of eleven students from the all-girls school got to learn about engineering life at DASSAULT SYSTEMES and SOLIDWORKS from a varied group of engineers. 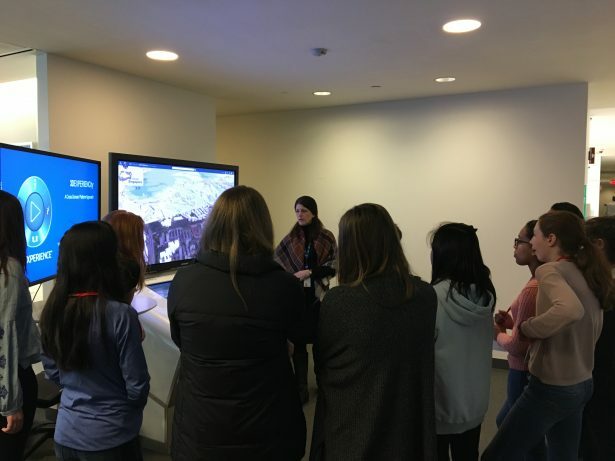 The girls started their day with Experience Briefing Center Specialist Jayne Stafstrom. Jayne whisked them through a virtual tour of what it takes to construct a metropolis, demonstrating how the city of Singapore is using 3DEXPERIENCity to plan its future. She also demonstrated the life and production cycle of a high-tech washing machine. 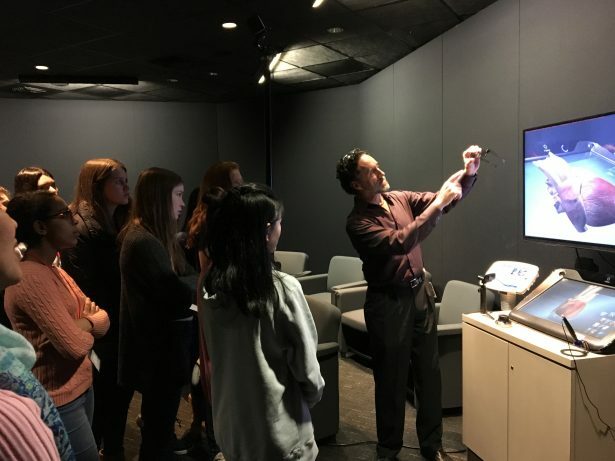 The students were then led into The Cave, a virtual reality simulation room, where 3DEXPERIENCE Communication and Executive Events Senior Manager Scott Harris introduced them to the Living Heart Project, created using the 3DEXPERIENCE platform Simulia. By putting on a special pair of glasses, the girls were able to interact with a 3D model of a living, beating human heart. It was then time to stroll across campus to the 3DEXPERIENCE Lab. 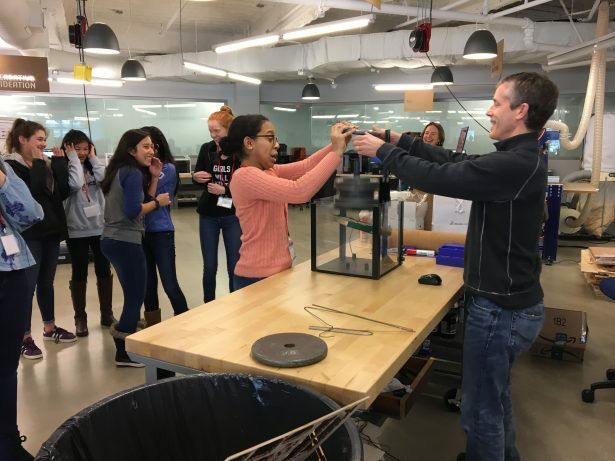 Waiting for the group was R&D SOLIDWORKS Applications Senior Director John Sweeney, who proposed a “day in the life of an engineer” challenge: He asked the girls to help him design and test the world’s strongest coat hanger. 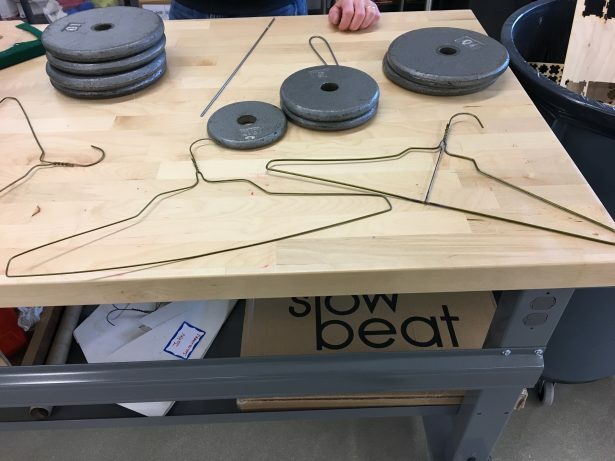 Working together, the students used SOLIDWORKS software to design and simulate how much force it would take to crush a coat hanger. Then they got to participate in a real life demonstration. Everyone had a blast as student volunteers placed weights on an unsupported coat hanger rod to test their theories and see if the simulations proved true. They had even more fun guessing when a new rod, supported in the middle like in the SOLIDWORKS simulation, would buckle and smash to the ground. 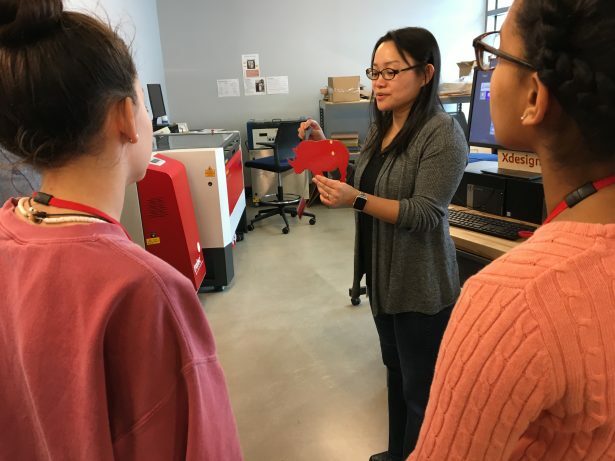 After saying goodbye to Megan, Chinloo led the students through the 3DEXPERIENCE Lab, showing them the various 3D printers and other tools at SOLIDWORKS’s disposal. 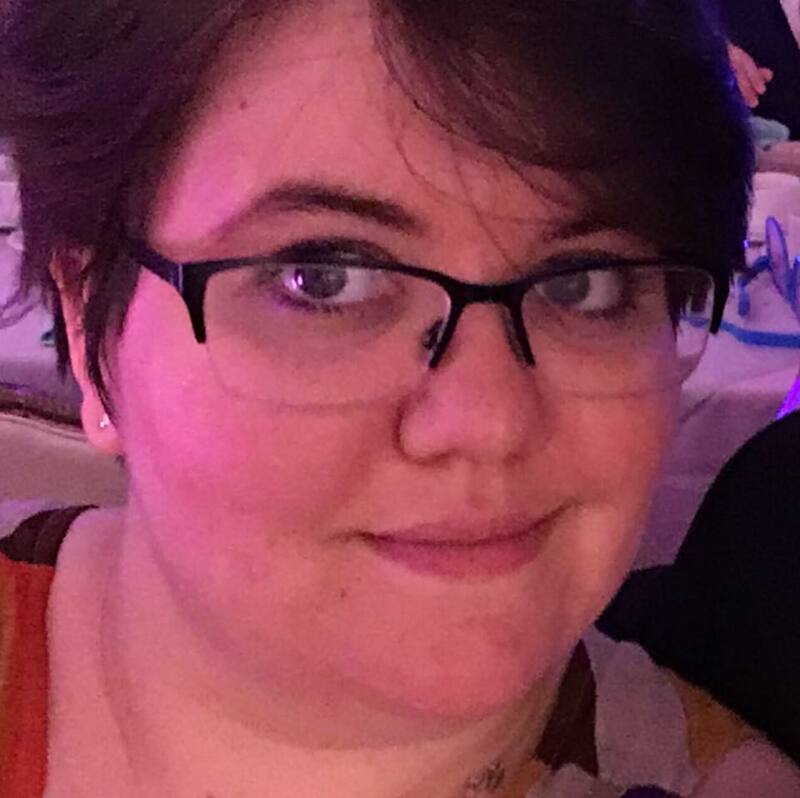 During lunch, she and User Experience Design Senior Manager Kathy Howard presented SOLIDWORKS Apps for Kids, a free web-based program for children 4 – 14 years old. “It didn’t look that confusing,” said one student. 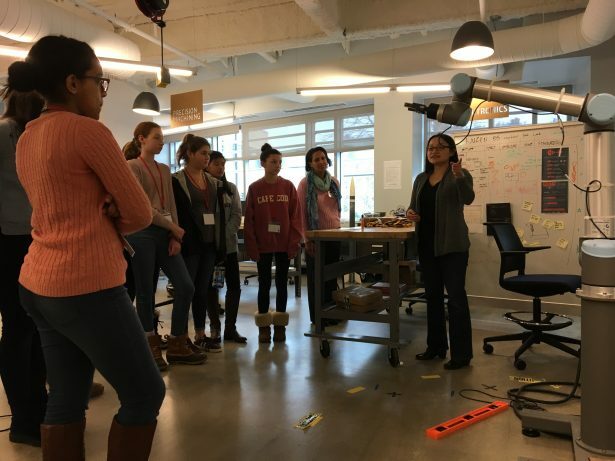 “For me, it’s really hard to understand [modeling] and it would be really easy to do it [in SOLIDWORKS Apps for Kids].” The girls got especially excited when they saw how similar the program is to Minecraft—what kid (or engineer) doesn’t like Minecraft? “That’s really easy!” exclaimed one student. “It was a great reminder of why I love being an engineer,” said Pat Townsend, Dana Hall’s Engineering and Computer Science Department Head. “We had a wonderful time seeing the cool things that engineers and software programmers do at SOLIDWORKS.” Career Day can sometimes be a snooze, but it’s wonderful to report that for the 8th graders at Dana Hall, their time spent learning about a day in the life of an engineer and a software programmer was exciting, educational and, most importantly, fun. 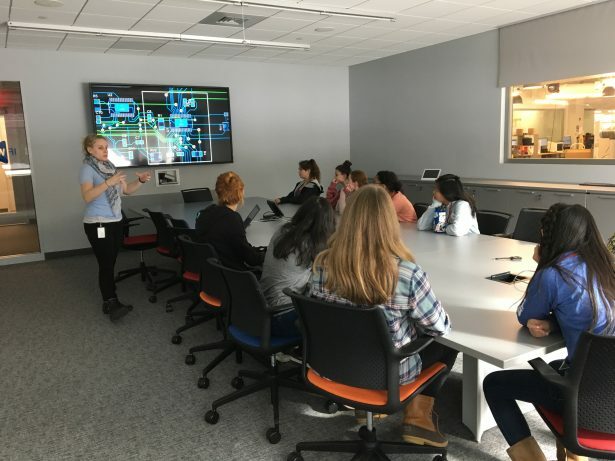 Thank you to the Dana Hall students and teachers for spending their morning with us, and to the DASSAULT SYSTEMES staff who offered their time for this tour.